It must be noted that Java 6 Update 11 may have an unexpected effect – the settings in the Java Control Panel may reset themselves after the update is complete. You are well advised to check them, just in case’ if you did not make any changes to the default settings in the first place, then don’t bother. There is one more thing that you need to keep an eye out for. The new update installation protocols that Sun has set up are meant to be safer and consequently ever since Java 6 Update 10 was released to the general public, a patch-in-place configuration has been utilized. In layman’s terms, whenever the user is prompted for an update, the pervious software version is overwritten by the newer one – this is a lot better, security wise of course, than having different versions of the same software installed in different locations. Heise Security reports that their Java 6 Update 11 did not work properly – after the update was completed, the software could be located in a new folder, but the folder containing the older version had not been deleted. If such a situation occurs when you update, you should manually delete the old folders. In related news, the official release of the JavaFX platform is scheduled for tomorrow, the 4th of December. 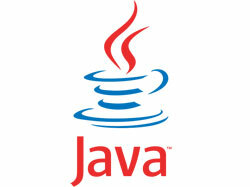 If you would like to get Java 6 Update 11, a download location is available here. If you already have Java installed on your machine, the update should trigger itself automatically. If you do not even know if you have Java installed on your machine, you can test your machine here.